Until recently, we all thought the warning about water scarcity was a myth that some misguided environmentalists peddled to disrupt our routine idyllic lives. “Who are these lunatics who want to project themselves as superheroes on a mission to save the human race from an impending apocalypse?” we flippantly dismissed them. It is only recently, when drought conditions have hit hard, Cape Town, that we have been jolted from our slumber. Now, we have realized that water is an invaluable resource that needs good husbandry, if we are to enjoy its benefits into the foreseeable future. Doubtless, given the predicament we are in, everybody can do their bit. Who knows the difference the bit can make? It may seem incredible that the seemingly inconsequential task of renovating the bathroom can reduce your water bill and play a bit in managing the depleting water resources. Construction Review refers to expert views to compile some of the most practical ways to reduce wasteful water consumption in the bathroom. Ringing a few water-efficient changes in the bathroom can make a big difference. The idea is to rein in on water guzzlers. Raymond Oliver of sanitary-ware and tile manufacturer, Roca, says that, just upgrading to a more water-efficient toilet can save an average family up to 41 500 litres of water per year. “In fact, contrary to what many people think, implementing water efficient measures does not cost an arm and a leg, when long-term benefits are factored in,” he adds. “Up-fitting your faucets, fixtures and toilets to more efficient and eco-friendly options can be one of the most frugal updates you can make to your home, but one with serious financial up sides – with regards to savings on utility bills, as well as increasing the resale of your home,” he affirms. Sustainable Build, a UK-based green building research entity that focuses on green building practices, has compiled interesting options that can be explored. Replacing an order toilet with a modern toilet can result in saving as much as two litres. New low-water toilets that use only two to four litres can be considered. Moreover, Oliver proposes, fitting a water ‘hippo’ device to the cistern. The amount of space it uses cuts down on the amount of water that the cistern can hold so it reduces water use with every flush. You can replace your water-guzzling showers with water saving shower heads. Flow restrictors that aerate the water without compromising the feel of a sufficient flow are a standard. If you need to install a new shower, you can go for an electric shower as it only heats the water it needs. 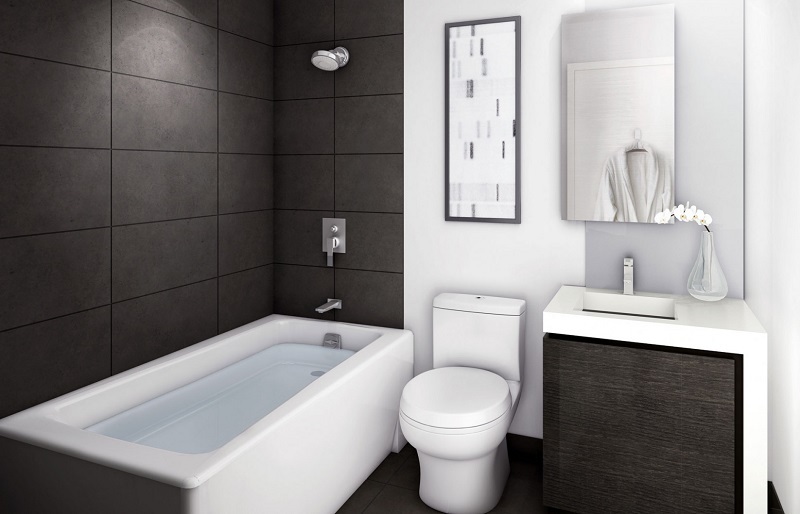 If you are replacing your bath, choose shapes that use a lot less water. However, the ‘economical’ shape in isolation won’t just suffice. In actual fact, it requires the end-user’s discipline – don’t allow the bath to overfill. Installing a grey water system enables water from the shower or bath to be re-used for toilet flushing. Installing a water tank system is another option that can be considered. Another option is a rainwater tank system which collects and filters rainwater to use in toilet flushing or for garden use. Most people don’t understand that taps use huge volumes of water. In fact, taps are the biggest consumers of water second only to toilets. At full flow, a tap can use six litres of water every minute. Alternatively, investing in eco-taps, which have a lower-flow, can cut water usage significantly. For instance, in new taps a gentle lift can cut water flow by 50%. Overall, vitally, making a bathroom water-efficient can result in substantial savings in utility bills, in addition to ensuring that we continue accessing the precious water resource in the coming years.